Large, protruding, or misshapen ears can cause a world of teasing from other kids. But it doesn’t have to be that way. Otoplasty, commonly known as ear surgery, is routinely performed by Dr. Jones. Otoplasty can reshape the ears or pin them closer to the head. The ears are a very prominent part of the head and face. When a person has ears that are oddly shaped or protruding, it can lead to a lifetime of teasing and jokes. This can permanently damage a child’s self-esteem. The surgical remedy is not complicated, doesn’t require extensive recovery, and doesn’t show much in the way of scarring. Ear surgery with Dr. Jones is performed in our Leominster offices. Anesthesia is local or general, depending on the patient’s preference. The surgery can take as little as 30 minutes or up to two hours. Incisions are made on the back sides of the ears. From there, the ear cartilage can be altered to reshape the ears into a more typical curve and look. By placing the incisions behind the ears, there really isn’t any visible scarring. After otoplasty, patients need to wear a protective splint for two to three days, along with a headband for three weeks. Some pain and swelling is to be expected for a couple days. One week after the surgery patients can basically resume their normal activities, as long as contact with the ears is not involved. 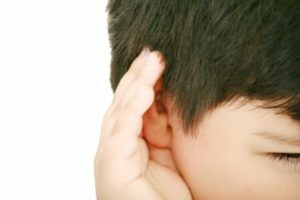 If your child, or even yourself, have ears that stick out too far or that are misshapen in some way, schedule a consultation with Dr. Jones about otoplasty, 978-466-4270.